Welcome to the official website of Boston 2026 World Expo. The goal of this website is to provide a central place to share information on the preparations for Boston 2026. May 31, 2018 Third Boston 2026 Press Release: 2018-06-01-Boston2026PressRelease.pdf. As of May 5, 2017 Boston 2026 has a new logo. December 1, 2016 Second Boston 2026 Press Release: 2016-12-01Boston2026PressRelease.pdf. May 28, 2016 Initial Boston 2026 Brochure: Brochure1.pdf. April 26, 2016 Initial Boston 2026 Press Release: 2016-04-25Boston2026PressRelease.pdf. August 10, 2015 The IRS has designated Boston 2026 a 501(c)(3) public charity. February 12, 2015 The Board of Directors of the American Philatelic Society voted unanimously to award the 2026 international philatelic exhibtion for the United States to the Boston 2026 Bid Committee (proposal here). On March 30, 2015 Boston 2026 World Stamp Show (now Boston 2026 World Expo), Inc. was incorporated in the state of Massachusetts. Also on March 30, Boston 2026 signed contracts with the Massachusetts Convention Center Authority and the owners of the Westin Boston Waterfront for the Boston Convention and Exposition Center (BCEC) and the attached Westin Hotel, respectively. 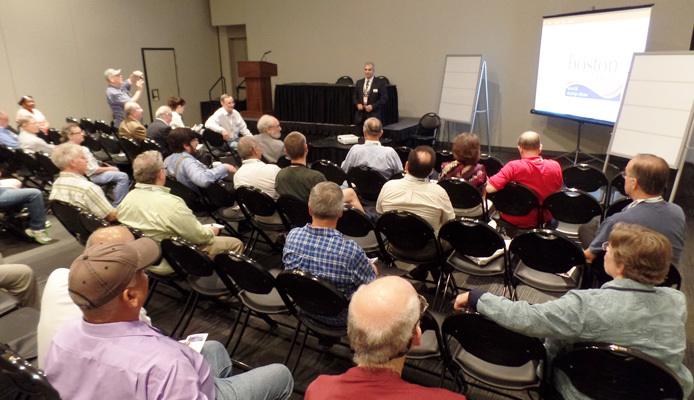 Boston 2026 held its public kickoff meeting at the World Stamp Show - NY 2016. Dr. Yamil Kouri gave a presentation on preparations to date for the show. Thirty five folks attended the meeting. 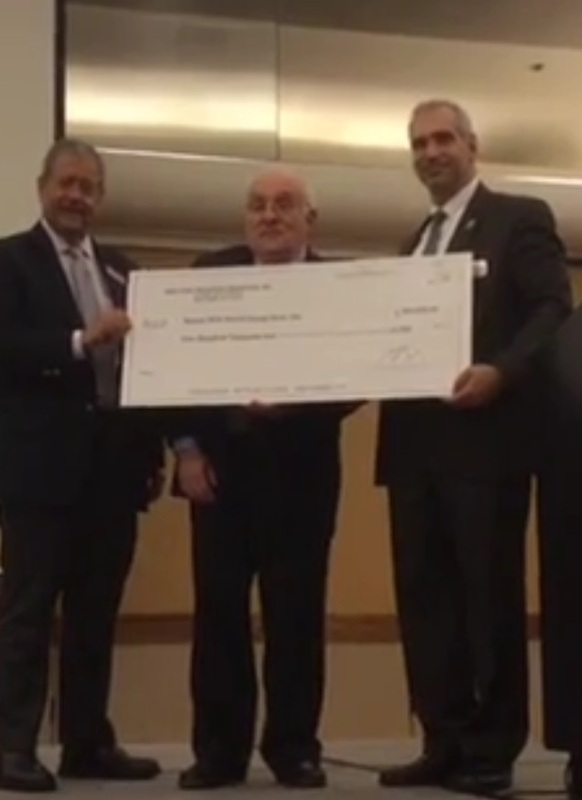 On August 4, 2016 Wade Saadi and Steven Rod (President and Vice President of New York 2016, respectively) presented a check for $100,000 to Dr. Yamil Kouri, Commissioner General of Boston 2026. The presentation was made at the Tiffany Dinner at the APS StampShow 2016 at Portland, Oregon. This donation represents a continuation of the tradition of the prior American international show providing seed money for the next American international show. Thank you, thank you, thank you New York! NY 2016 Press Release issued August 13, 2016 is here. Boston 2026 World Stamp Show (now Boston 2026 World Expo), Inc. has received 501(c)(3) recognition from the U.S. Internal Revenue Service, allowing contributions to be tax deductible to the fullest extent of the law for those who itemize. Check with your tax preparer for details. All donations will receive a letter of acknowledgement from the Show Treasurer. Donors of $25 or more will be noted in the show catalog and on the show website. Donors of $1,000 or more will receive special recognition, access and gifts (still to be specified). Don't worry. You can always drop yourself from the mailing list by using the link at the bottom of our messages. Note that some Comcast email IDs appear to be experiencing significant slowness in the processing of our confirmation messages.